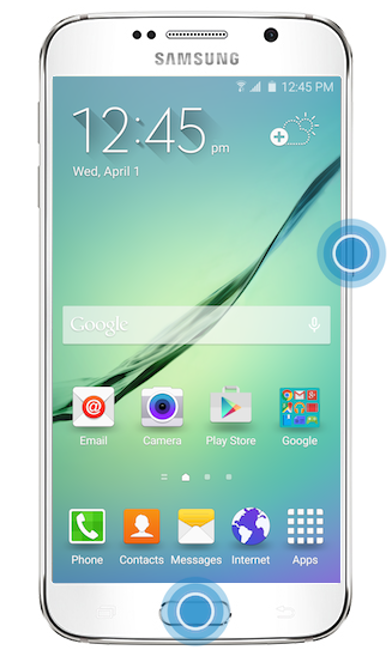 You can capture a screenshot by simultaneously pressing the Home key and the Power/Lock key for 1 to 2 seconds. Note: Taking a screenshot using the device's buttons requires a little bit of training. The main difficulty is to press the two buttons at the same time. We guarantee it works as we used it to take the screenshots that illustrate this page. Just keep trying! Follow the instructions to turn on the feature if it is turned off. 3. 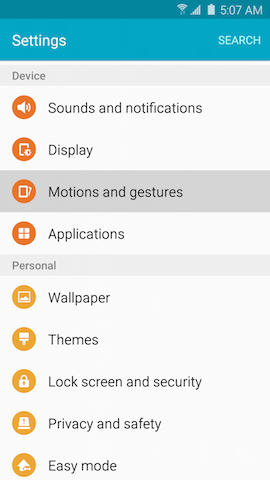 Scroll to and touch Motions and gestures under the Device tab. 4. 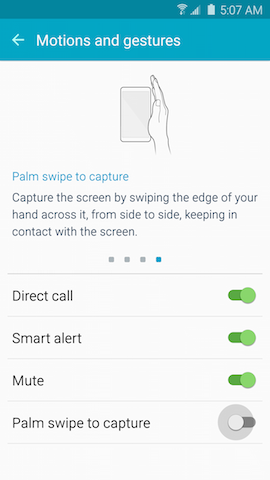 Touch Palm swipe to capture or touch the slider to turn Palm swipe to capture on .